A gulf currently separates these two teams in the league and it showed in the game; Grasshopper 1 was just too strong. The team started very well and by the end of the first quarter led 13-4. Grasshopper 1 capitalised on this in the second half, winning it 18-4, to lead 31-9 at half time. At this point, Sadie Burch replaced Carly Varney at WD and the circle defence – Holly Walker and Laura Watson – swapped over, becoming GK and GD respectively. The third quarter saw another strong performance, with Grasshopper 1 winning it 13-4, to lead 44-13 going into the final quarter. This quarter saw everyone remain in the same positions, winning this period by a 10-8 margin. The final score was 54-21. Player of the Match went to Katie Long, who returned some amazing shooting stats! Grasshopper 2 regional anticipated a tough game against Sleaford Tornadoes and it did not disappoint. Early nerves and the loss of two centre passes saw Grasshopper 2 trail by the end of the first quarter, 8-12. The team rallied in the second quarter, though, with some sterling circle defensive work by Connie Smith (GK) and Laura Scigliano (GD), and some good shooting by Andy Flewitt (GA) and Beth Smith (GS). Grasshopper 2 won the quarter to trail by just 23 goals to 24 at half time. 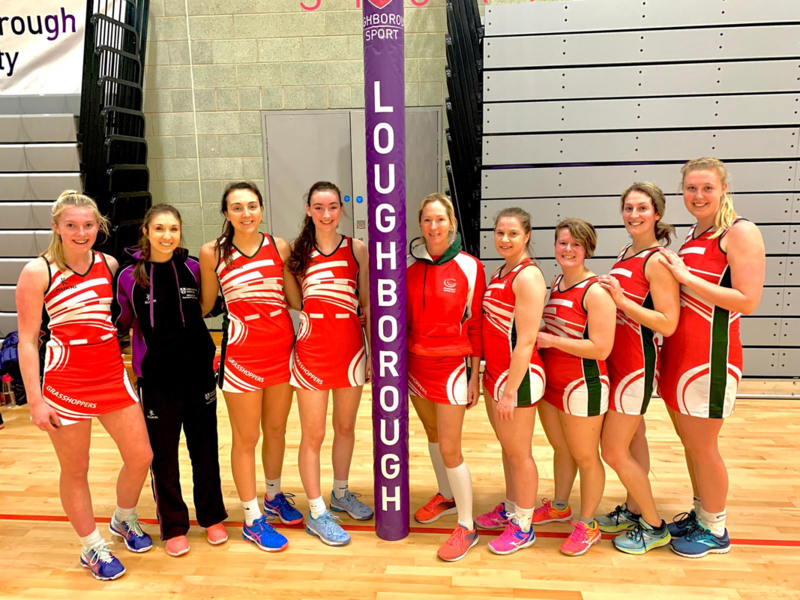 Grace Brooks (Player of the Match) swapped from WA to GA for the second half and Grasshopper 2’s purple patch continued apace, with an excellent standard of netball being demonstrated by both teams. However, Grasshopper 2 came out winners at the end of the third quarter, with the score at 39-35. Grasshopper 1 Regional began the game with their usual starting line-up and, after a closely contested first quarter, led by 3 goals: 10-7. At this point, Captain, Donna Osborn, came off and young Freddie Marlow took her place at GA for the rest of the game, with Katie Long as GS. 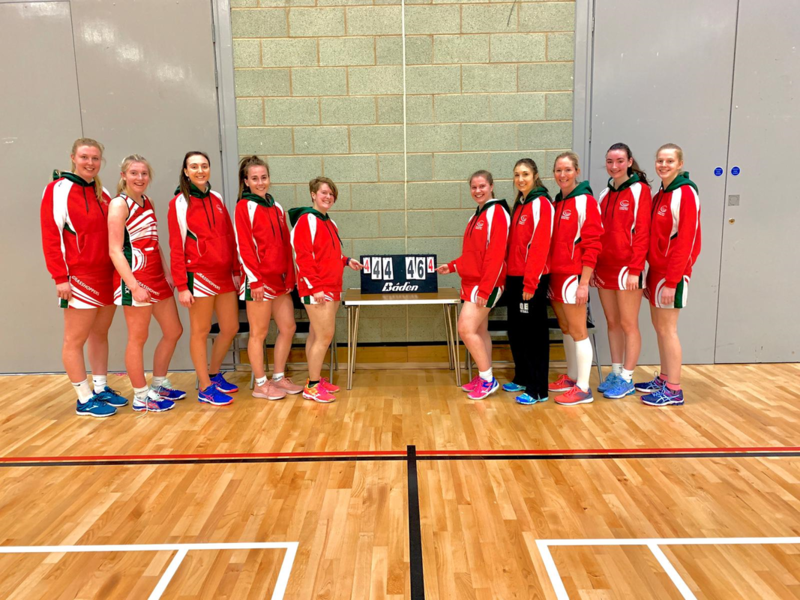 Grasshoppers’ strong defence of Laura Watson (GK), Megs Palmer (GD) and Holly Walker (WD) began to dominate in the second quarter, with Hinchcliffe only scoring 5 goals. At half time the score was 23-12. 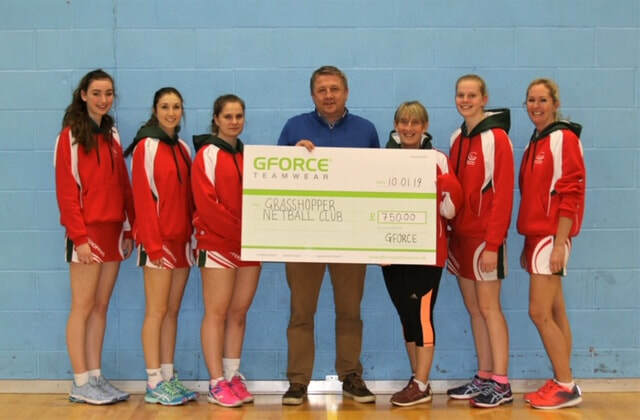 ​GFORCE TEAMWEAR sponsored Grasshopper 2 Regional’s match against Nottingham City Comets was neck-and-neck during the first quarter, which ended 12-12. However, the second quarter saw Grasshopper 2 nudge ahead, to lead 23-19 at half time. The third quarter saw Nottingham City Comets fight back but Grasshopper 2 maintained a slender lead (34-32) going into the final period. Grasshopper 1 Regional were disappointed to draw their last game against Brigg so another match between these two teams brought about a new opportunity for Grasshopper to convert that one extra chance to taste victory. The first quarter was extremely close, with Brigg just coming out winners (12-13). However, Grasshopper 1 fought back in the second quarter, to lead 26-21 at half time. At half time, Laura Watson replaced Tracy Glover at GK but the rest of the team remained the same. Another close quarter ensued, with Grasshopper 1 Regional winning it 12-11. However, Brigg responded the final quarter, winning it 10-11. However, it was not enough and Grasshopper 1 Regional held on to win 48-43 at the final whistle. Some sterling defensive work – in particular by Player of the Match, Megs Palmer. A gritty performance by all the squad members.